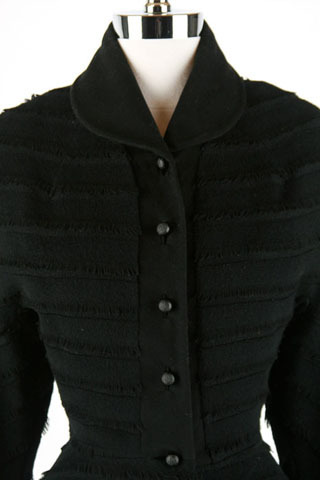 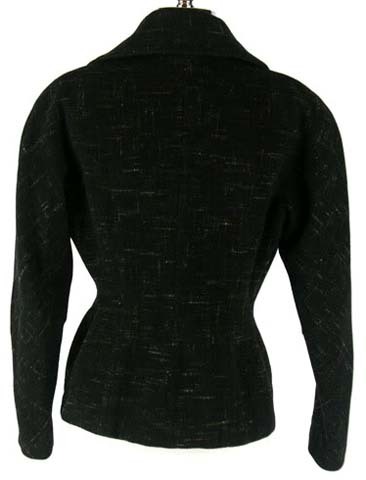 1940s Black Cashmere Sally Milgrim Coat Jacket. 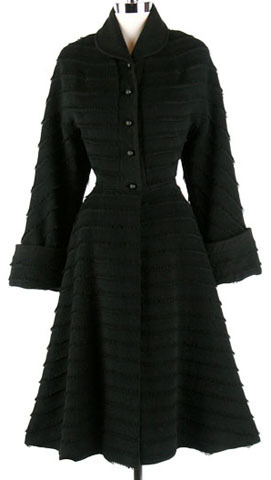 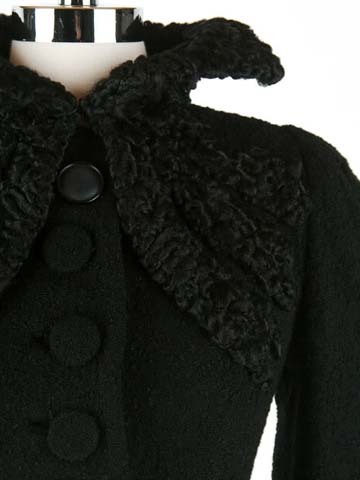 1940s Black Curly Lamb Puff Sleeve Coat Jacket. 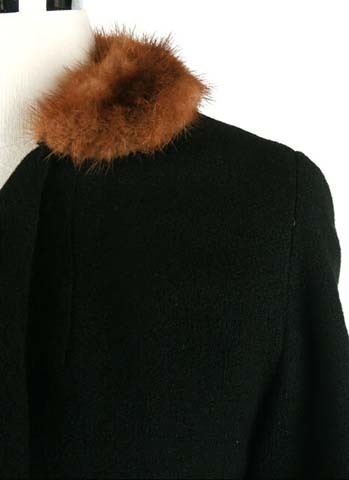 * Black textured wool * Silk crepe lining * Curly lamb collar/shoulder details * Dramatic collar can be worn up or folded * Buttons front closure * Puffy sleeves * Very fitted through waist * from "Jordon Co."
1940s Black Wool Fur Collar Belted Coat Jacket. 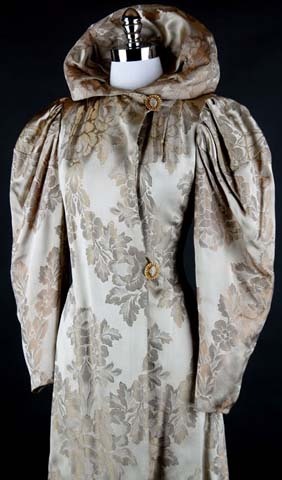 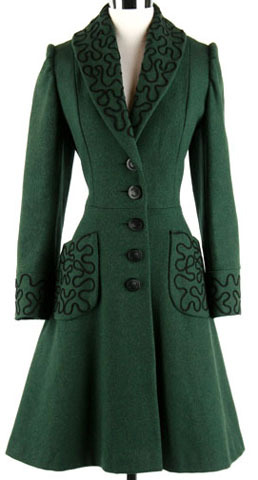 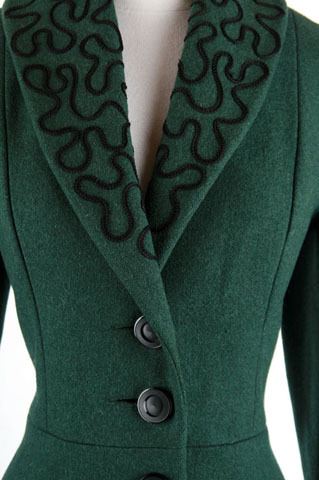 1940s Green Wool Puff Sleeve Soutache Coat Jacket. 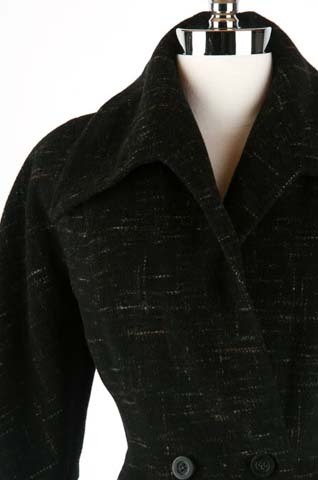 1940s Brochade Puff Sleeve Fitted Coat Jacket. 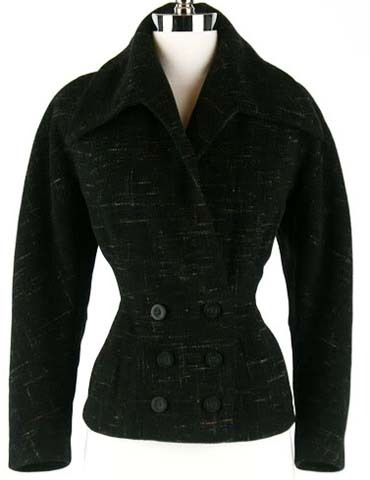 40s Charcoal Wool Nipped Waist Short Jacket Coat. 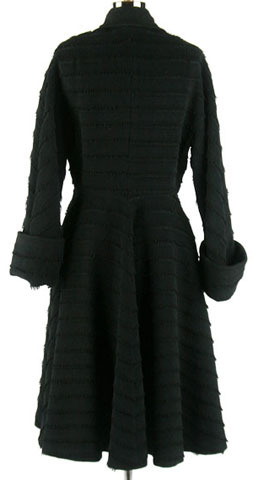 * Charcoal/black wool * Satin lined * Nipped waist * Strong shoulders * Oversize collar * Double breasted * by "Joker"